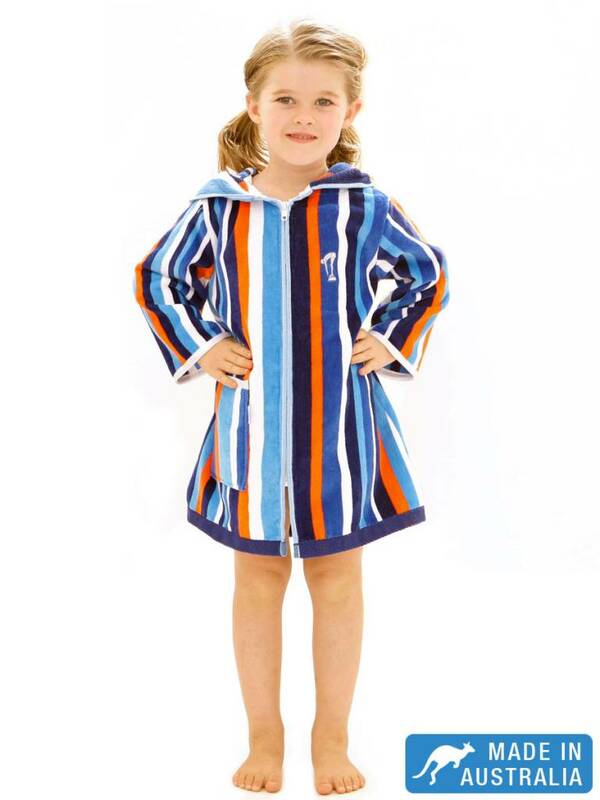 Luxurious Beach Robe for children in Ocean colours. 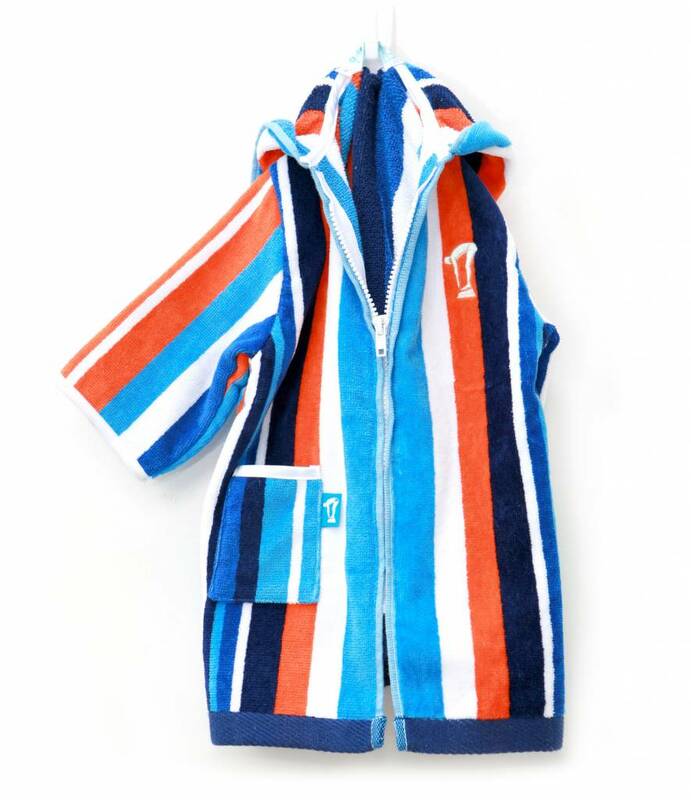 With signature quality and fabrics, hoodie cut and zip-up these beach robes are a must have for this Summer. Made in Australia. 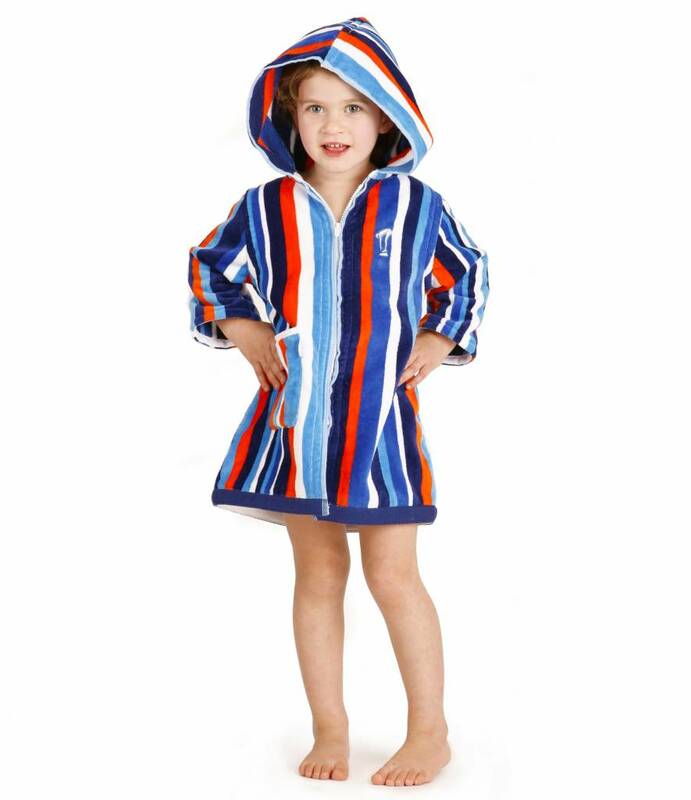 Australia’s favourite beach robes for children are here! Beautifully styled, beautifully made and so very cute! New season styles, colours & sized from 1 to 12 for boys and girls. Designed and made in Australia. 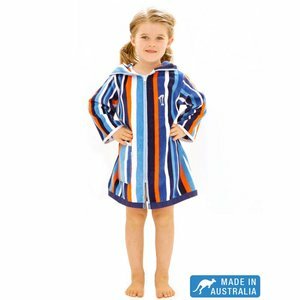 All Terry Rich Australia kids beach robes are made in Australia from high quality terry toweling (100% cotton) with over-sized hoods, covered seams and finished with premium zippers and accessories. 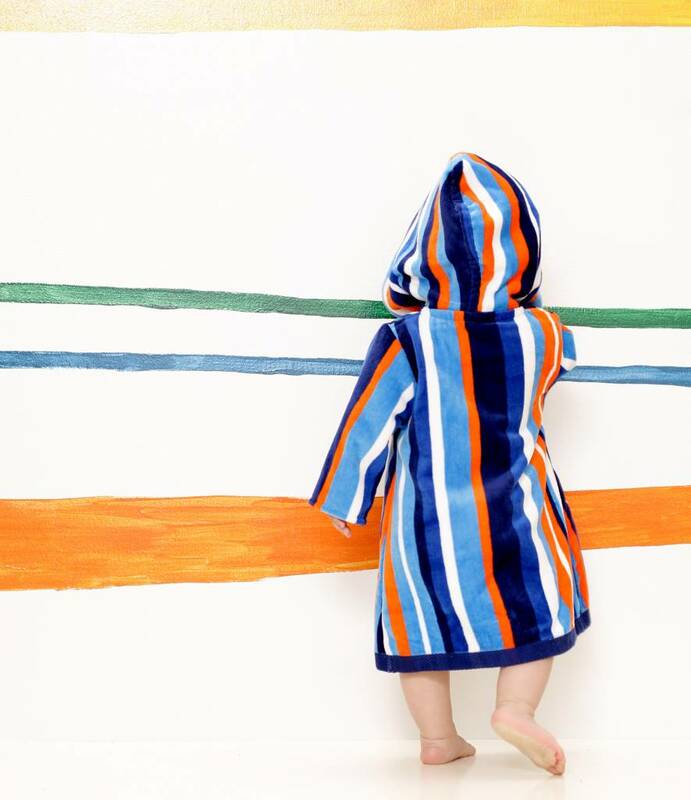 The 'Ocean' is a classic unisex Beach Robe in vibrant blue stripes. With thousands of beautiful beaches and bays, it’s not surprising that our friends from Down Under know a thing or two about the sun, surf & sand. 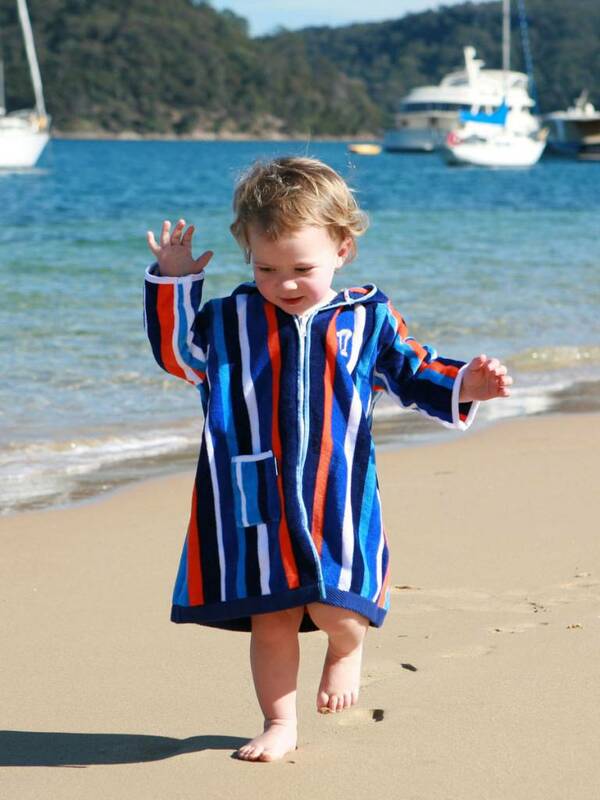 And when it comes to taking their kids for a dip, the fabulous Terry Rich Australia Beach Robes have fast become the must have kid’s beach essential for before and after the water. The key is that they not only look great, but they work. If you are a parent with young kids you will know what we mean. Swim time can plunge from delight to disaster in a heartbeat if the wet, the cold or the sun gets the better of your kids. 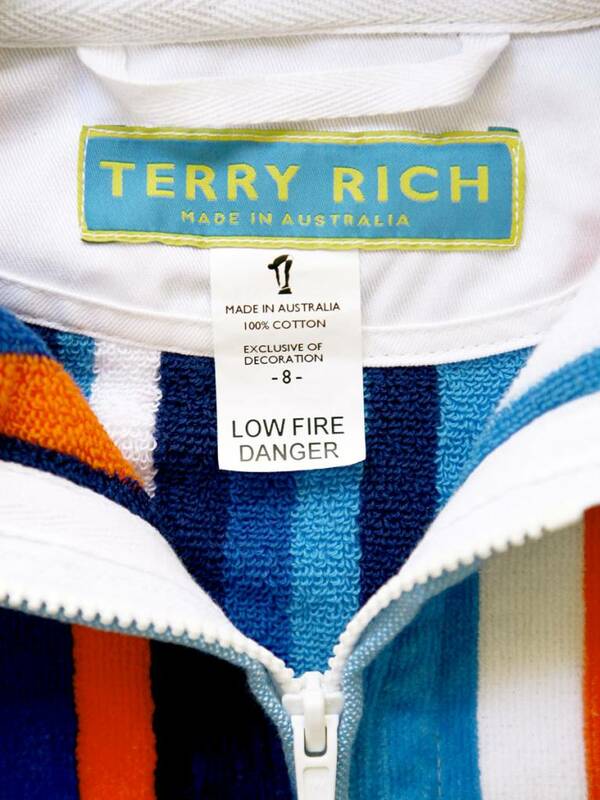 The Terry Rich beach robes are carefully designed to tackle this trio of challenges with one quick zip! 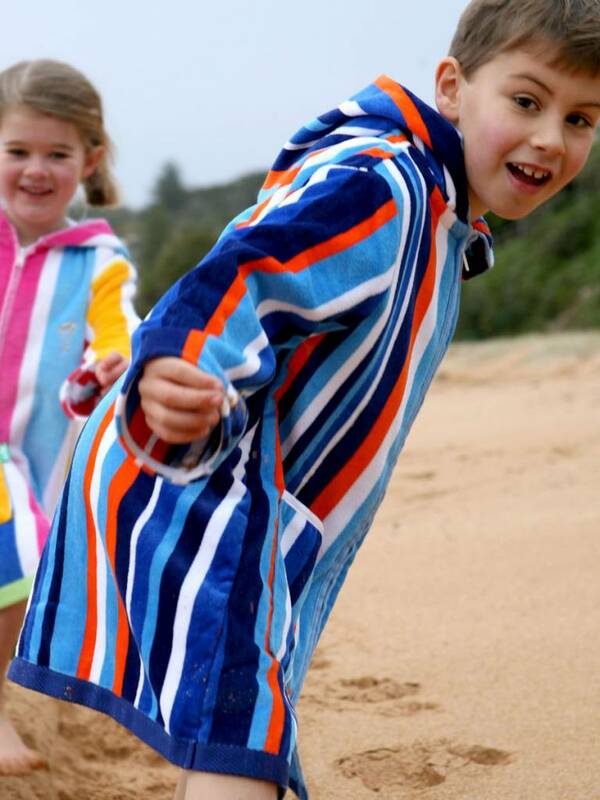 For years these beautiful and so very practical beach cover-ups have been warming, drying, and protecting little Aussie kids in pools and beaches across Australia. But from today they're available in Europe too! Exclusivelyat Destination Beach.